For my fambam and I, the Lunar New Year means plenty of happy feasting. And while my first two days are usually spent hopping from house to house and snacking on titbits, my next few days tend to be filled with hearty meals to celebrate this joyous season! 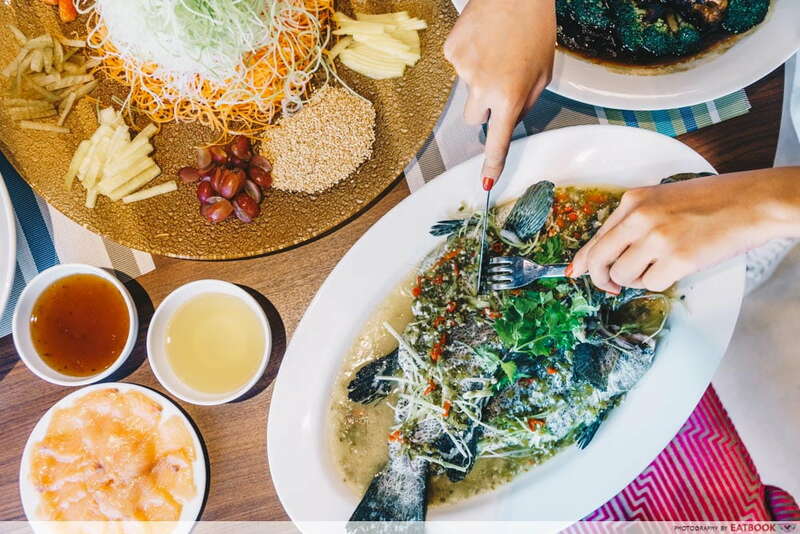 From sumptuous Chinese buffets with pen cai to DIY lo hei, check out these 12 restaurants with dining promotions for Maybank Cardmembers. Usher in the year of the pig with a full belly when you dine at The Buffet. 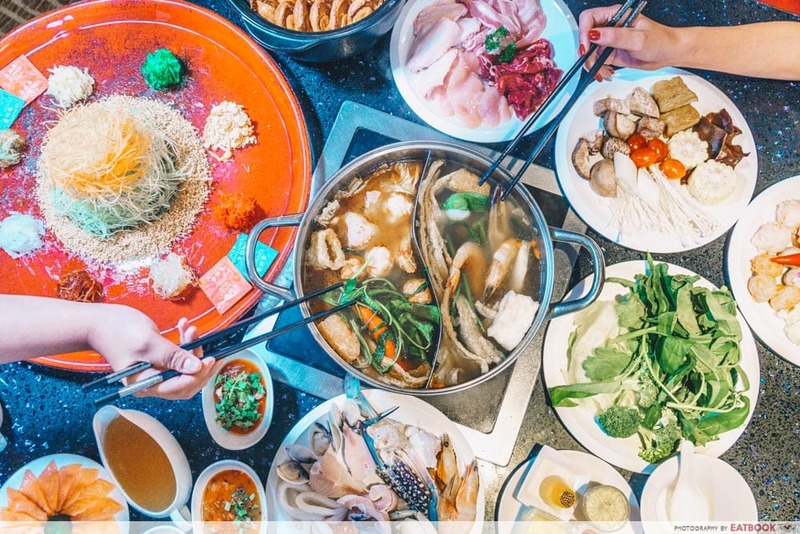 Situated in M Hotel, the 8 Treasure Steamboat Buffet Dinner (from $65++) presents a spread of fresh oceanic gems to go with their 8 Treasures Premium Broth and Double-boiled Imperial Collagen Pork-bone broth from Japan. Other CNY favourites such as their Auspicious Smoked Salmon Yu Sheng (from $58+) and Abalone Pen Cai (from $288+) filled with roast pork and duck, baby abalones, dried oysters, prawns, and mushrooms, are available for both dine-in and takeaway. 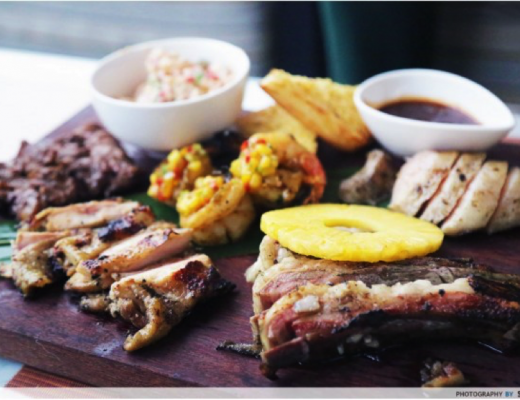 Maybank Cardmembers are in for a treat, as they get 30% off their total bill. Better yet, come in a group of four and receive a complimentary bottle of Italian Prosecco. This stellar offer runs from 21 January to 1 March 2019, but call in advance for blackout dates. Feast to your heart’s content at Town Restaurant’s Chinese New Year Buffet Dinner ($59++ from Sun-Thur, $85++ from Fri-Sat). The plethora of stations is a sight to behold and includes a DIY station where you can build your own yu sheng during 1 to 19 February 2019! 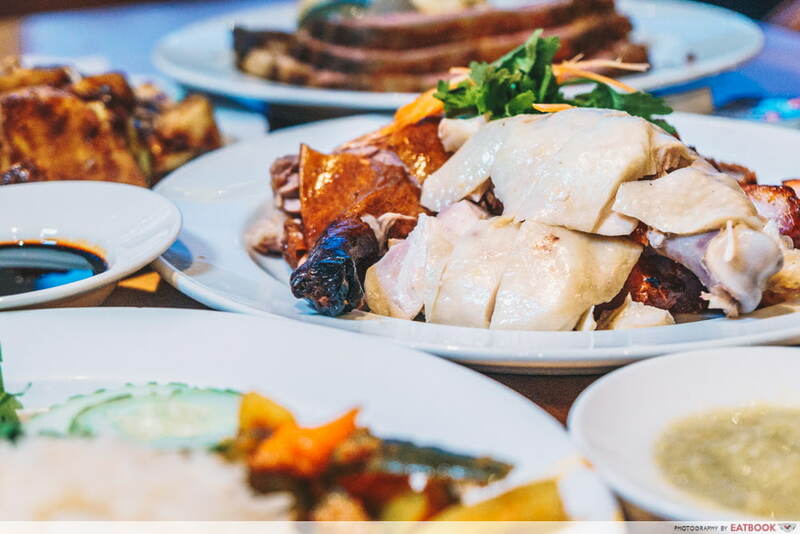 Aside from CNY staples such as steamed sea bass and glutinous rice with Chinese sausage and mushrooms, you will also find local favourites including chicken rice. Maybank Cardmembers with a family of four will be pleased to know that one dines free with every three paying adults. This sweet deal runs between 21 January and 19 February 2019, excluding public holidays and their eves. 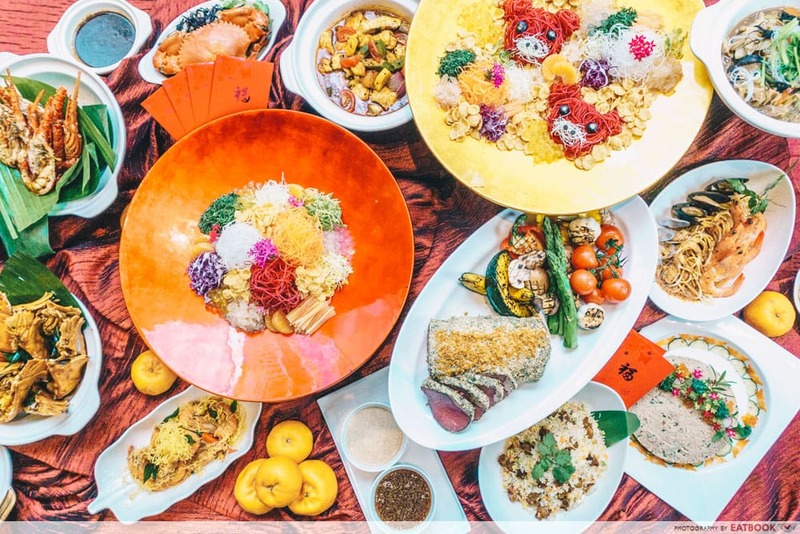 Skip off to Sentosa this Lunar New Year for Latest Recipe’s 8 Days of Fruity Prosperity Lunar New Year Buffet Dinner ($88++). 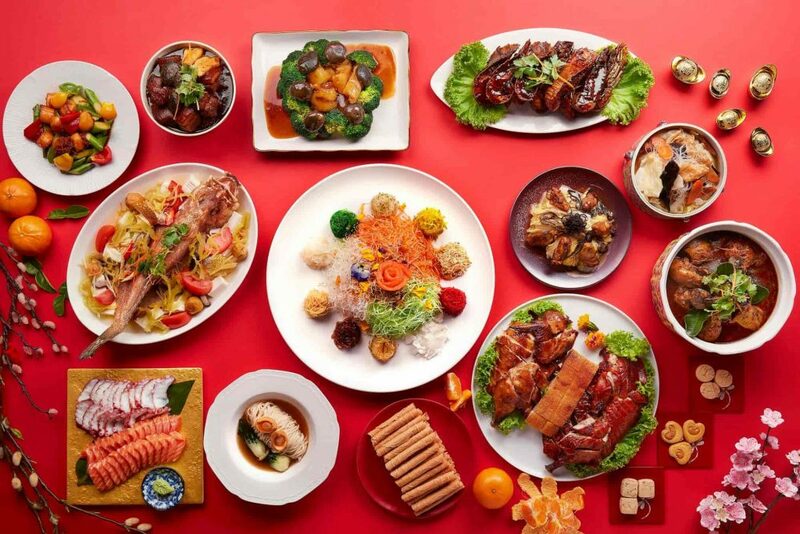 Available from 4 to 11 February 2019, the line-up features quintessential CNY dishes including braised pork knuckle, steamed garoupa, steamed chicken with black fungus and fish maw soup with crabmeat. Toothsome treats also lean towards classic desserts, such as mango puree with pomelo and Chinese sticky cake. Get 25% off the buffet when you prepay with your Maybank Credit or Debit Card by 28 January 2019. However, if you prefer to settle the bill on the day of your dinner, you can still score 20% off. 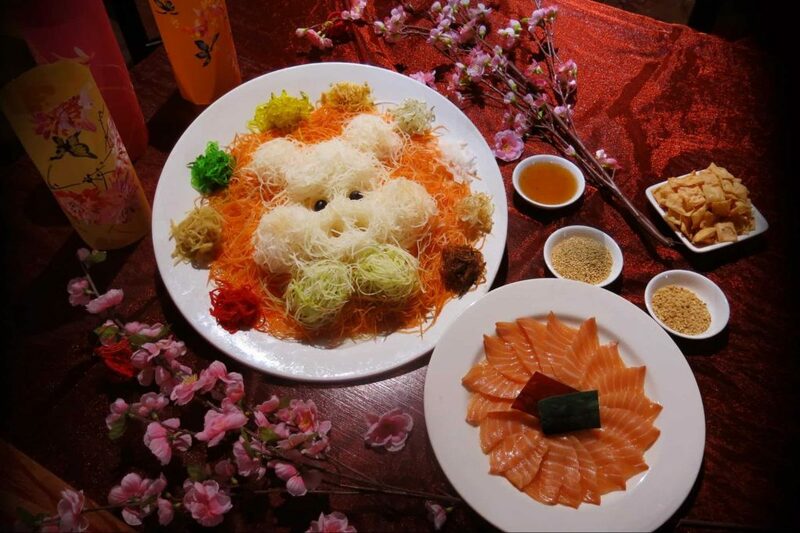 Those dining in a group of four or more will also receive a complimentary serving of steamed sea bass and Fruity Prosperity Lo Hei Yusheng! Do note that prior reservation is required. Say “huat” to the new year at Man Fu Yuan with their Wealth Prix-Fixe Menu ($1,888++ for 10 guests). 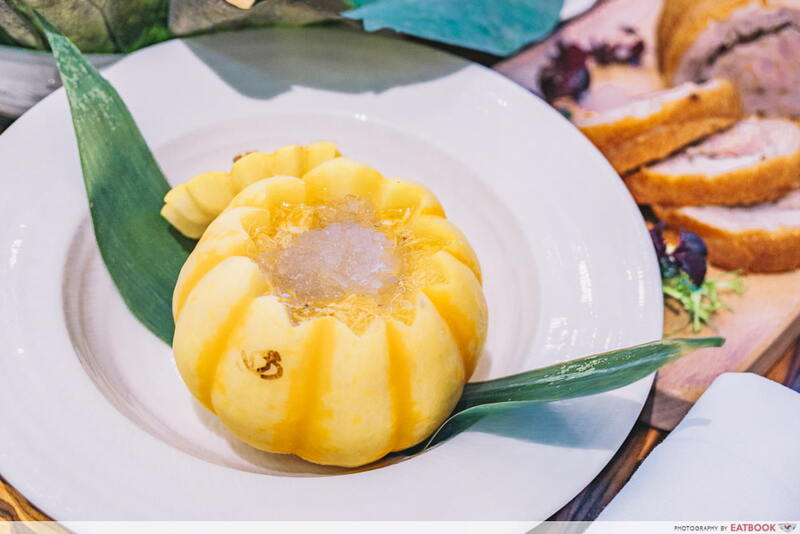 Showcasing eight exquisite courses, your meal begins with a yu sheng toss of baby abalone, Hokkaido scallops and salmon, followed by a premium bird’s nest soup in a mini Japanese pumpkin. Other delicacies include the lobster egg noodles with X.O. sauce and their signature tea-smoked duck. Cap off the meal with refreshing chilled hashima and red dates in coconut. Pick up the tab with your Maybank Credit or Debit Card and enjoy 20% off your total food bill during lunch from 4 to 20 January 2019 and 15% off thereafter between 21 January and 3 February 2019. For dinnertime diners, you get 15% off your total food bill from 5 to 19 February 2019. If you can’t wait until Chinese New Year to feast like a king, head to The Dining Room’s Prelude to LNY Lunch ($68++) and Dinner Buffet ($78++). The dishes presented are rather unique, and we recommend piling your plates high with the marmite crayfish and crab meat mee sua. Don’t forget to swing by the live station for succulent oven-baked char siew lamb leg and roasted Angus striploin with butter cereal crust. Maybank Cardmembers will find themselves #blessed with 15% off the total bill at both sessions, for up to eight adults. This discount runs from 21 January to 4 February 2019 for lunch, and until 3 February 2019 for the dinner buffet. Catch up with your loved ones over a hearty spread at Food Capital. 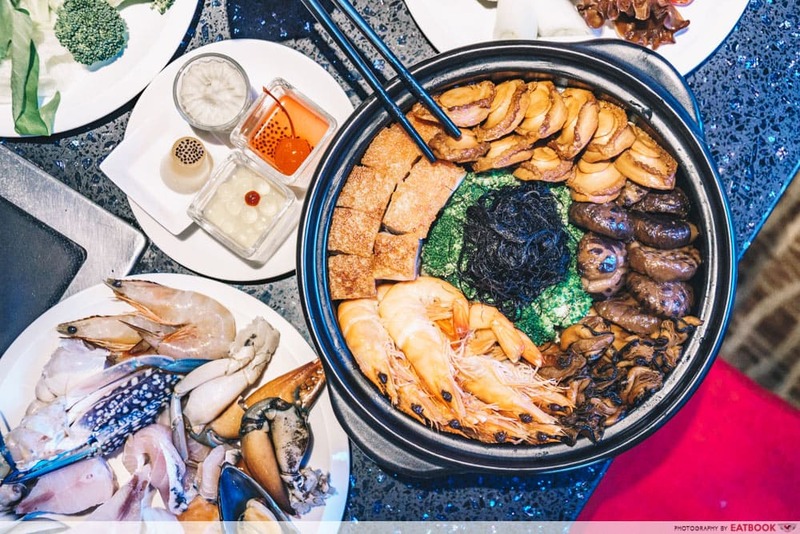 Their Lunar New Year Festive Lunch ($66++ on Mon-Fri, $66.60++ on Sat-Sun) and Dinner ($88++, $98++ on Eve of CNY) buffet runs from 28 January to 20 February 2019, and presents all-time favourites including stewed pork trotter and drunken herbal prawns. 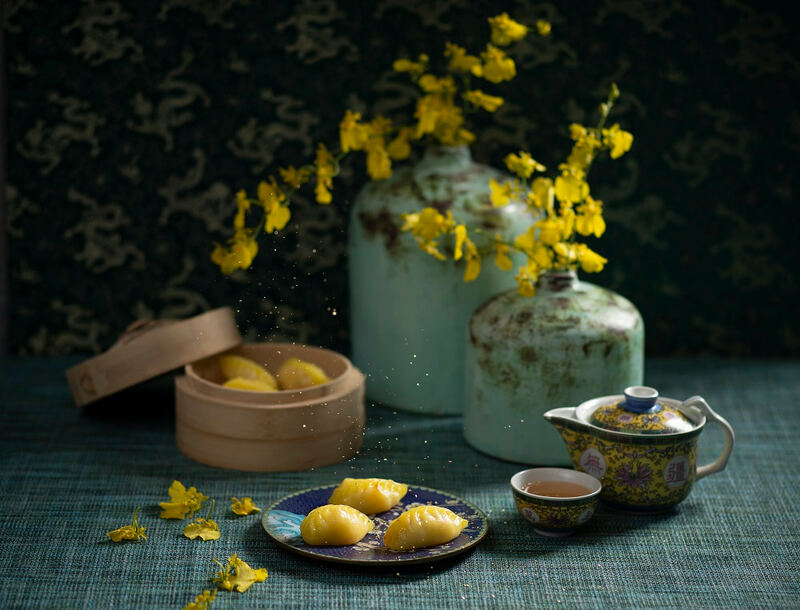 A dish that’s sure to please older folks is the crystal tang yuan, which symbolises family reunion and can be found at their extensive dessert section. 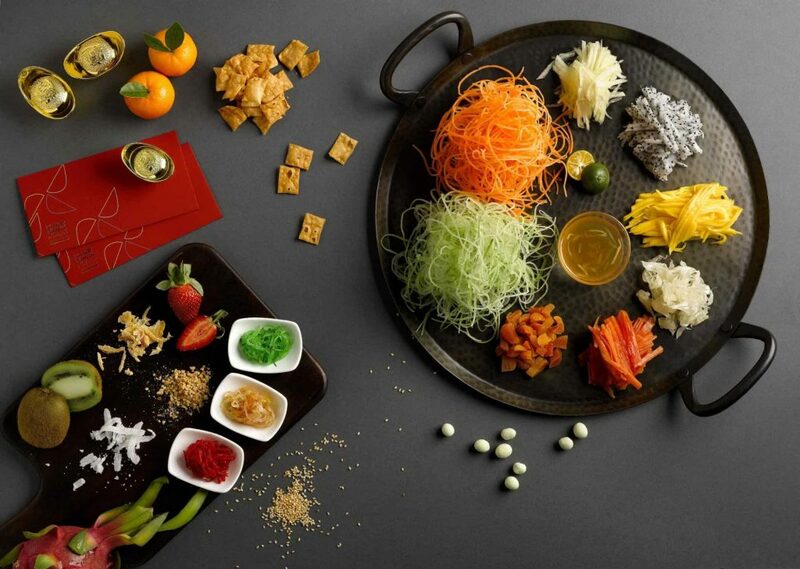 Add on their Fa Cai Yu Sheng ($68++ for small, $88++ for large) to complete your CNY celebrations. Make reservations before 20 January 2019 to enjoy 30% off the LNY eve buffet dinner and Fa Cai Yu Sheng takeaway. Don’t fret if you can’t lock down your dinner plans so early, you can still score 20% off if you make reservations by 3 February 2019. Take note that blackout dates apply. 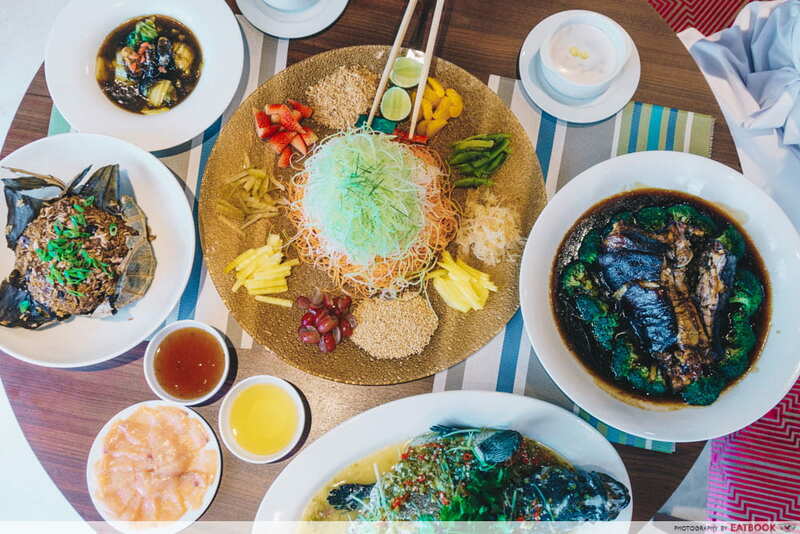 Expect a lavish spread at Four Points Eatery’s HUATful Sumptuous Buffet ($52++ for lunch, $65++ for dinner), where you will also find a yu sheng counter during 4 to 6 February 2019. Alternatively, order either the Abalone Yu Sheng ($88++), Salmon Yu Sheng ($68++) or Fruit Yu Sheng ($58++) and lo to a prosperous Lunar New Year. 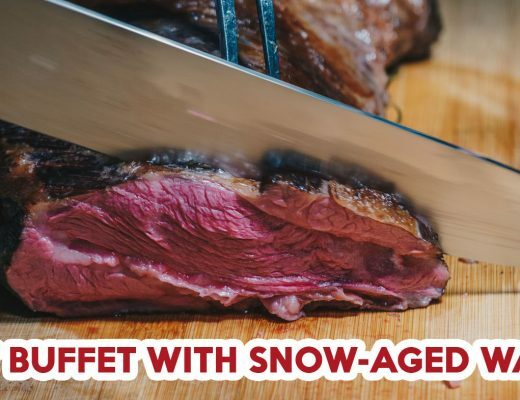 If you’re in need of a good tipple, their Sunday Brunch ($72++) and Wednesday Surf & Turf Dinner ($80++) proffers out free-flowing Prosecco or Moscato, and Smoked Maerzen Craft Beer respectively. Dinner and Sunday brunch also come with freshly shucked oysters and a complimentary grilled Tiger prawn per diner. Arm yourself with your Maybank Credit or Debit Card to receive 20% off your total bill for their Chinese New Year festive lunch, dinner and Sunday brunch! The offer is valid from 23 January to 19 February 2019, except for 4 February 2019. Impress your beau’s parents by taking them to Szechuan Court for a bountiful feast. 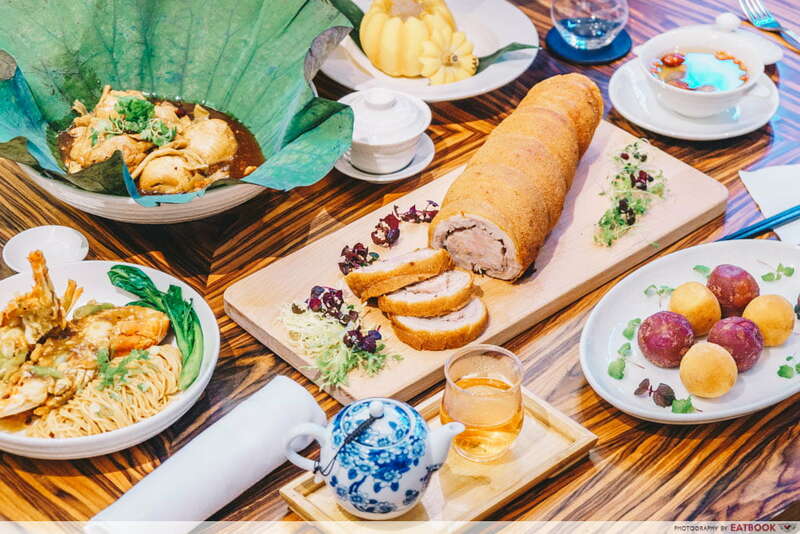 The Auspicious Set Menu ($528++) feeds four hungry gourmands, and features eight tantalising dishes. Start off with a toss of their salmon yu sheng, before filling up on a generous double-boiled goodness of conch, sea cucumber and premium fish maw, as well as an impressive fork-tender steamed black cod fillet. End off on an auspicious note with the traditional yam nian gao. Early birds get 25% off the set menu when they make reservations before 31 January 2019. Alternatively, book between 1 and 19 January 2019 for 15% off their set menus. Do note that blackout dates apply on 4, 5, 6 and 14 February 2019. Take your reunion dinner out of home and into The Salon this 2019. There you will find five prosperity menus inspired by luck and wealth, with prices starting from $68++ per person (minimum two to dine). The dishes in this Prosperity Set Menu ($488++ for six guests) are classic, and the ones to keep an eye out for include steamed black garoupa and sauteed prawns with broccoli and hon shimeji mushrooms. 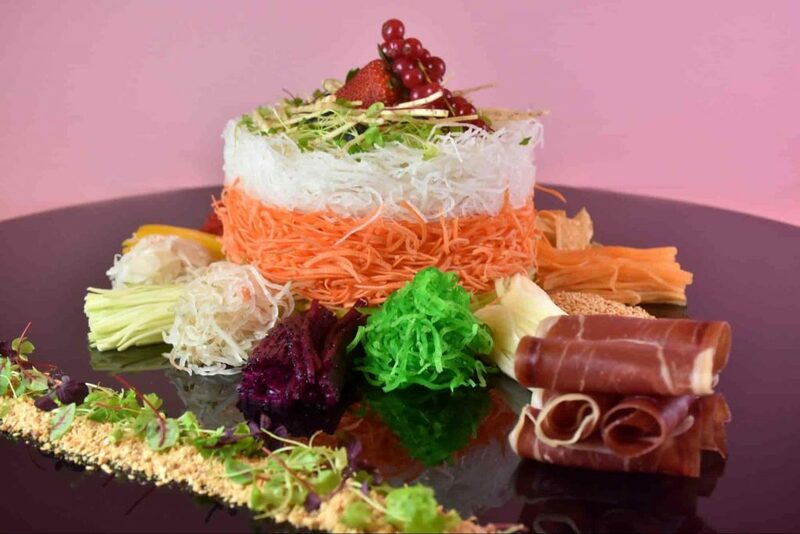 Alternatively, opt for takeaway and get their all-new Prosciutto di Parma Prosperity Fruit Yu Sheng ($188+). Give your wallet a break by paying with your Maybank Credit or Debit Card to offset $100 on any set menus priced from $488++ onwards. You will also get 15% off on all Chinese New Year takeaways! 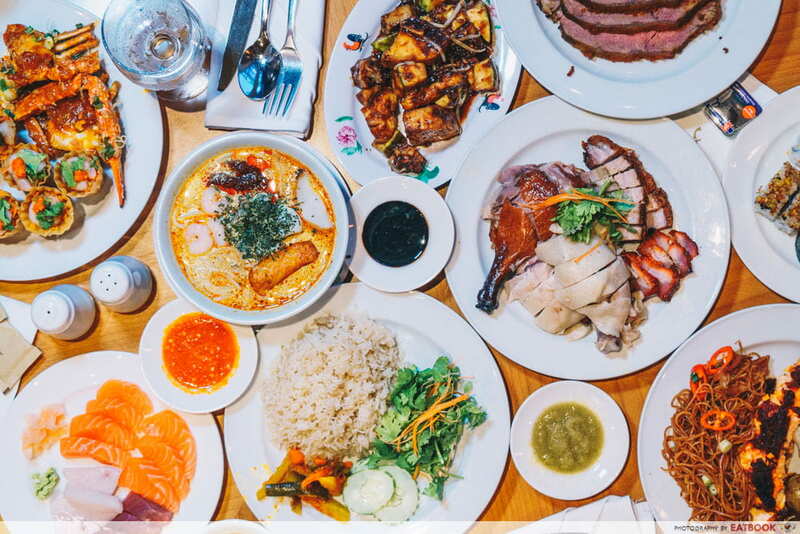 Bring your grandparents to Element for a feast this Chinese New Year. 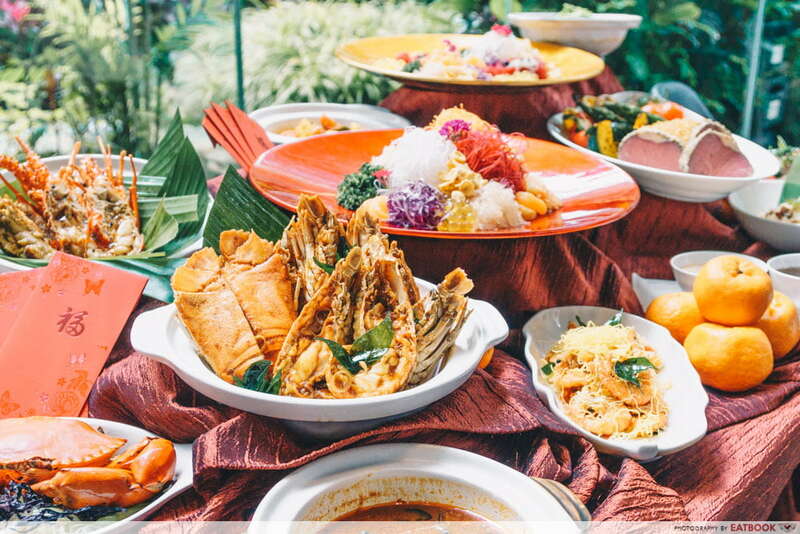 Their Festive Buffet Lunch ($58++) and Dinner ($78++) presents a sumptuous spread of traditional Chinese dishes. Sure to impress are the succulent braised pork ribs in black beer and pan-fried dumplings that are whipped up à la minute at the live station. Those dining during dinnertime are rewarded with black pepper and chilli crabs! Swing by with your Maybank Credit or Debit Card between 21 January and 19 February 2019, to cinch 20% off these buffets. The promotion is valid on all days from 21 January to 19 February 2019, except 4 February 2019. Ellenborough Market Café celebrates the year of the boar with a Prosperity Buffet ($68++ for lunch, $88++ for dinner). Aside from their usual Peranakan creations, you will find exquisite Chinese dishes using premium ingredients, such as double boiled chicken soup with cordycep flowers and sliced abalone. There’s also a DIY yu sheng station, where you can toss to a good year ahead. Maybank Cardmembers can enjoy 20% off the festive buffets when they dine here between 19 January and 19 February 2019. Discount is not applicable on public holidays and their eves, as well as special occasions including 2, 3 and 4 February 2019. Paint the town red this Chinese New Year and treat your fambam to Carousel’s CNY Festive Buffet ($58++ for lunch, $48++ for high tea, $98++ for dinner). 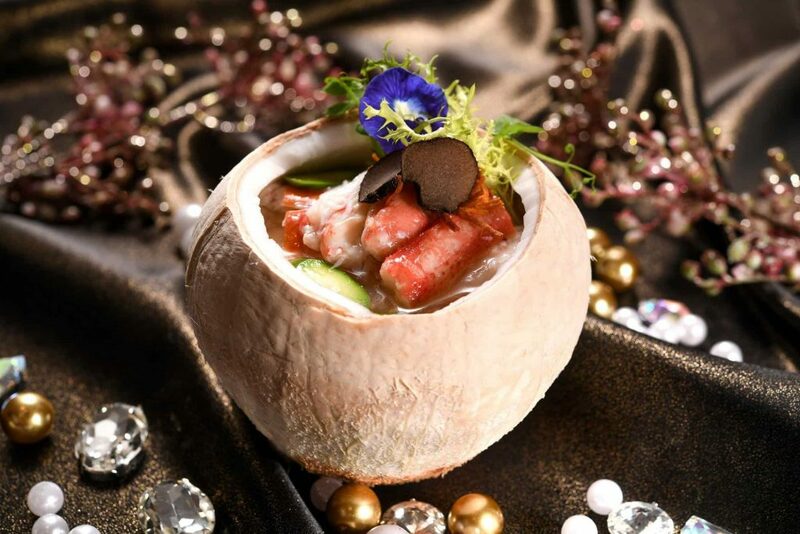 The spread showcases a slew of tasty nosh including an earthy truffle soup pumped up with smoked Alaskan crab and crispy scallops, and served in a coconut husk. 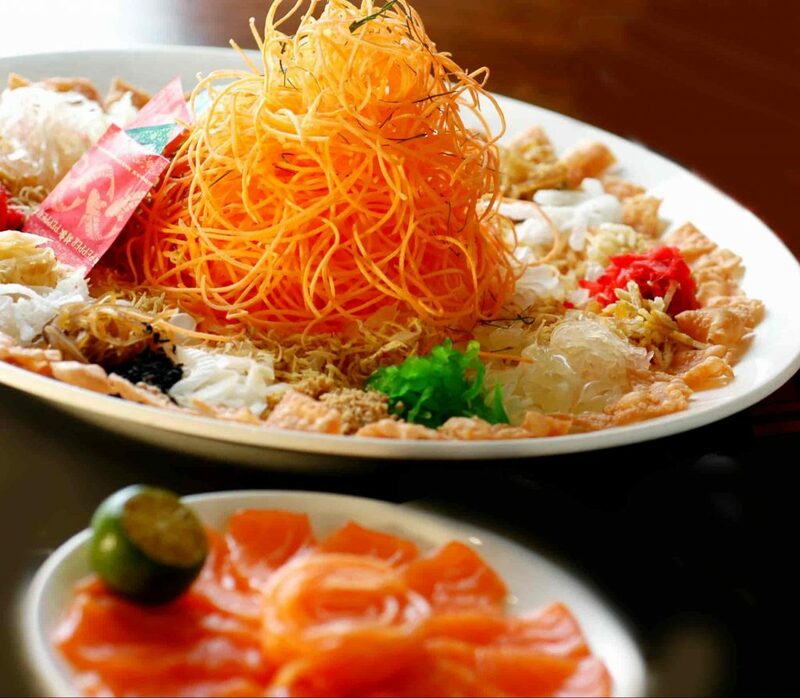 For those coming by here for reunion dinner, you will receive a complimentary salmon yu sheng to toss for prosperity! Take delight in 15% off your total bill when you swing by between 4 and 6 February 2019 with your Maybank Credit or Debit Card. There’s no limit to how many people you can add to the bill, so jio everyone you can! A family that eats together, stays together. 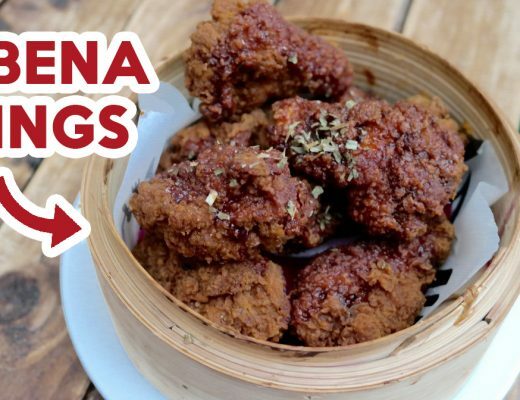 This Lunar New Year, make a date with your loved ones and check out these dining promotions for the CNY season. Don’t miss out on future dining promotions and secure your own Maybank Credit or Debit Card today. Apply now to receive a complimentary gift today**! SMS “MBAPPLY EBA <Name> <NRIC>” to 79898 or visit maybank.sg/applycards for details. Find out more about Maybank Cards’ dining deals*! *Terms and Conditions apply. Visit maybank.sg/dine for full details. **Terms and Conditions apply. Visit maybank.sg/applycards for details. This post is brought to you by Maybank Cards.